A great gift for any occasion this 6oz hipflask has a panel that can be engraved to make this gift even more personal and meaningful. 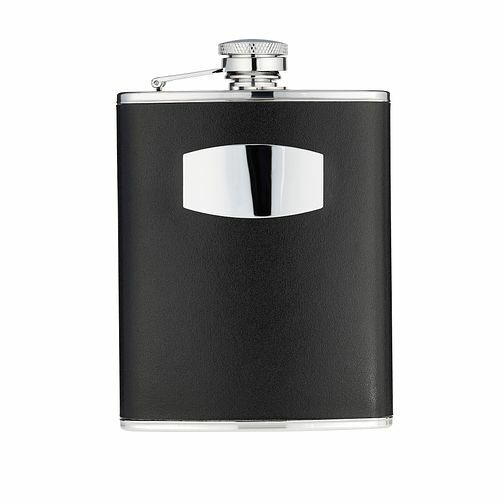 Classic Collection 6oz Black Leather Hipflask is rated 4.5 out of 5 by 4. Rated 5 out of 5 by Anonymous from Good Good quality for the price, fast delivery and a great gift!